Some of the most popular viral websites include BuzzFeed, Upworthy, Distractify and Uproxx. Each of them focus on different topics and content types, but they all have several tools and features in common. The goal for each of the sites is to make interesting, digestible content that people will share with other folks on social media. 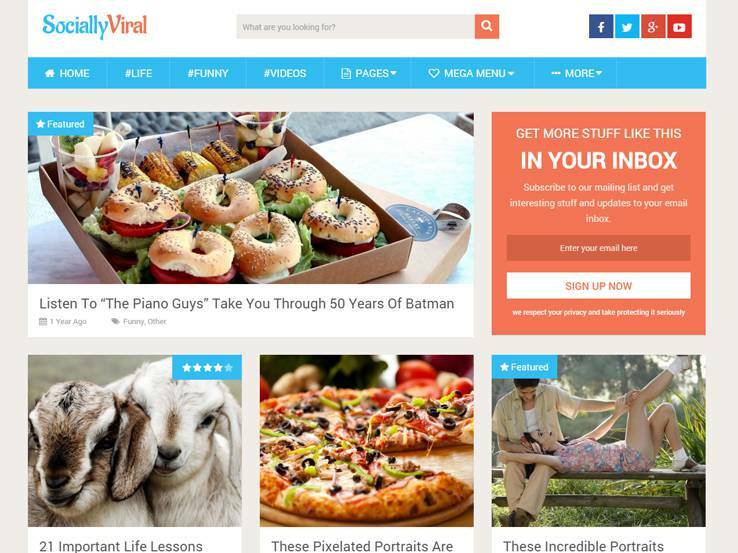 The good part is that you can also make a site like this with the help of a viral WordPress theme. When you take a look at BuzzFeed, the majority of the posts are short lists, with fun images and captions. The company has found great success with this model, but you can find other strategies as well. For example, Upworthy has focused more on videos, ranging from uncontrollably cute to outrageous. Regardless of the type of viral content you share, you need a few elements to actually get people to recognize the content as worthwhile. 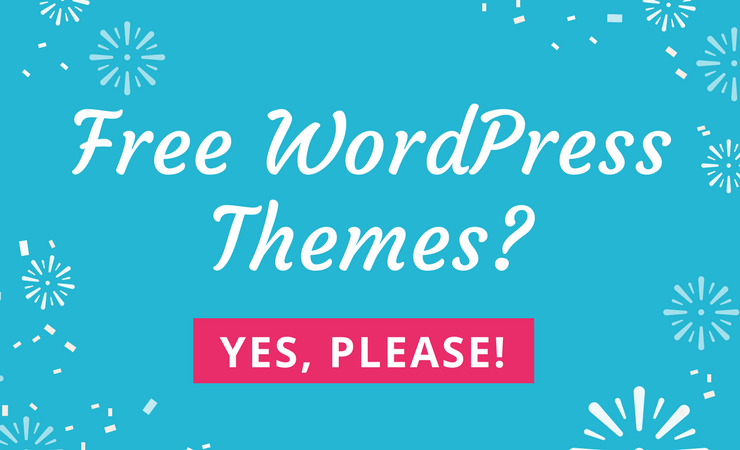 What Should You Look For In a Theme? Cleanliness is a huge factor for viral posts, and you’ll also want to get some powerful social sharing buttons. For example, the best sharing buttons are big, have share counts, and intriguing calls to action. Advertisement spots should be included, along with mailing list components. However, the primary reason you should go with one of these themes is because of the viral content optimization. From self-hosted media to listicles and viral community building, it all comes together to make for a beautiful website. 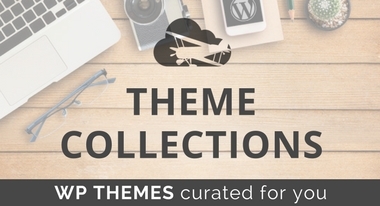 Who Are These Themes Best Suited For? It’s tough to say exactly who a viral theme is suited for, since it could technically be anyone. I’m not sure I would recommend it for a small business as the majority of these viral websites are businesses in themselves. Therefore, the typical viral theme user is a media startup with writers and content creators. You need a hard focus on running a site like this, as it can eventually turn into a full-fledged media empire. The Bunchy theme is designed to turn visitors into content creators, and it provides an open lists feature for letting visitors create and submit their own lists from the frontend. Upvoting, downvoting, social media, paginations and advertisements are all packed into the open lists, and users can submit their own media elements. Build your own community with the BuddyPress plugin, and integrate with the Facebook and Twitter social login options. Create listicles with different types of media and reveal popular and trending lists. Quick ads and mailing lists are possible, while the fancy badges for trending posts are a huge bonus. Share counts, view counts, and comment counts are shown, while the powerful social sharing buttons even have fake share counts for viral newbies. The sticky share bar assists with getting shares, and you get everything from rich snippet support to responsiveness and translations. 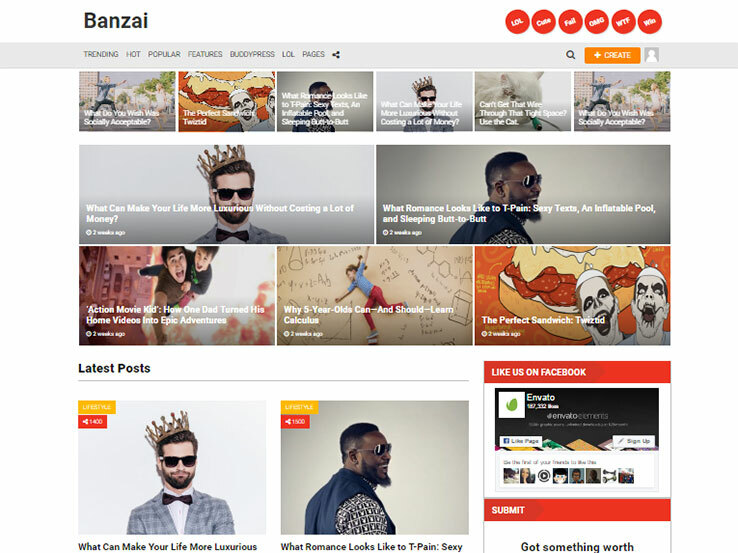 Consider the Banzai WordPress theme if you’re thinking about building buzz for items like memes, stories and conversations. 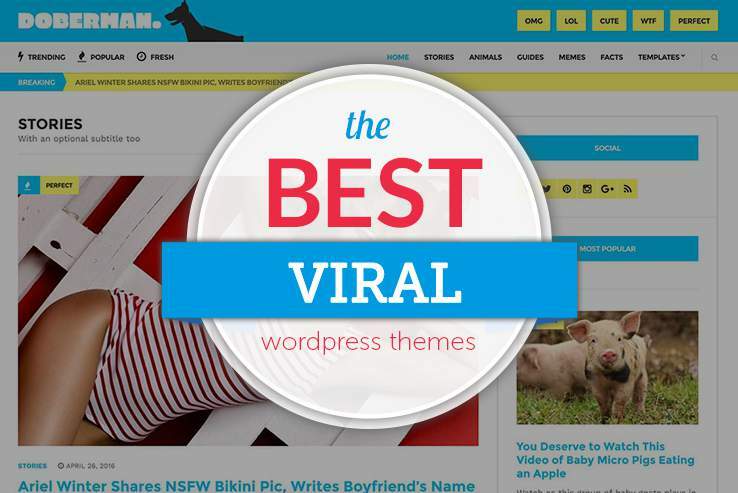 It’s definitely one of the best viral themes on ThemeForest, with support for options like quizzes, lists, polls, conversations, memes, stories and image galleries. The core features include the ability to track results from studies that your visitors take. 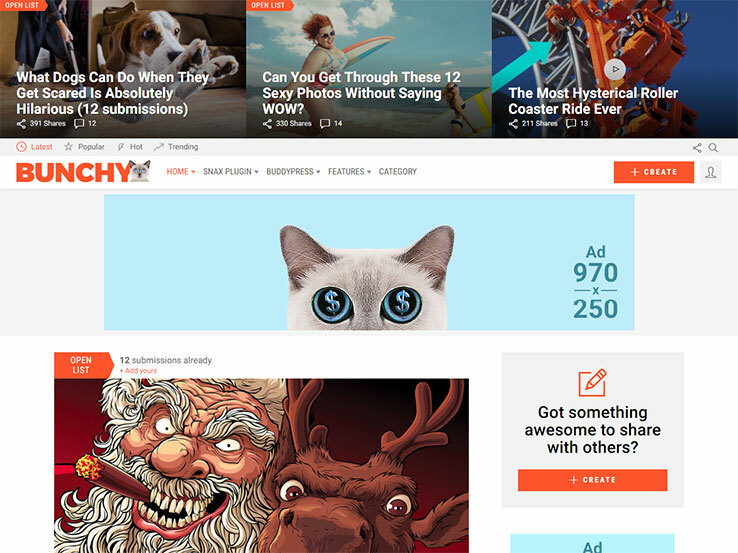 You also get two skins, one of which turns your site into something like BuzzFeed. The quizzes have over 20 animations for transitioning between questions, and the theme supports images, GIFs, embeds and HTML. The seven different list styles offer versatility, while the frontend user submission brings together a community. A few widgets are packaged into the theme, such as one for a leader board, and two others for trending articles and submitting content. Along with responsiveness, four header types and tools for upvoting and downvoting, this is a pretty solid theme. The SociallyViral WordPress theme has a knack for increasing social shares, with a flat, engaging design and featured posts based on the number of views. The newsletter form grabs information from customers, and the WP Review plugin can be installed for rating products or content. The theme is also compatible with the Mega Menu plugin, just in case you plan on having hundreds of pages to feature in your menu. The responsive theme has optimization for social shares, and you can show trending posts at the end of each article. The AdSense optimization works for making money, while the schema integration is ideal for boosting search engine rankings. Video post support comes in handy, while the “back to top” feature improves navigation. Some of other cool features include parallax scrolling, translation files, shortcodes, Google Fonts, Font Awesome icons, built-in ratings, and unlimited colors. 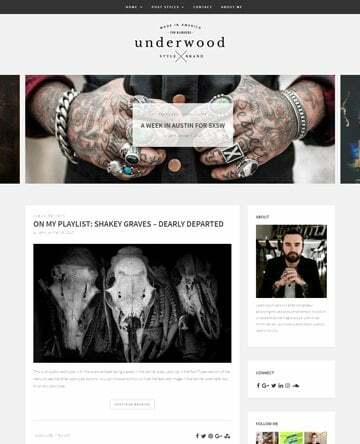 The Boombox WordPress theme has a playful and creative magazine look to it. 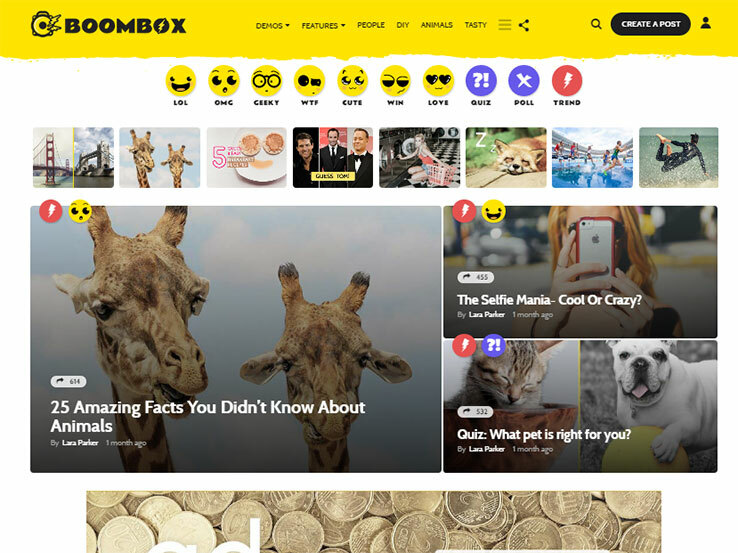 The theme is similar to BuzzFeed, and it comes with an incredible number of features. For example, you get unlimited headers, a post ranking system and the ability to hide or show any element on a page. Users rank posts by views, shares, upvotes and comments, while the trending, hot and popular posts are shown right on the homepage. Fancy badges are given to the most popular articles, and 24 reaction emojis are great for people to express their opinions. You have the opportunity to enable frontend submissions, along with open lists with voting. The audio and video embeds come with the theme, and you can also embed items like social media buttons, galleries, and playlists. Along with ads, clear calls to action, a sticky sharing bar and Google Fonts, this theme is worth looking at. 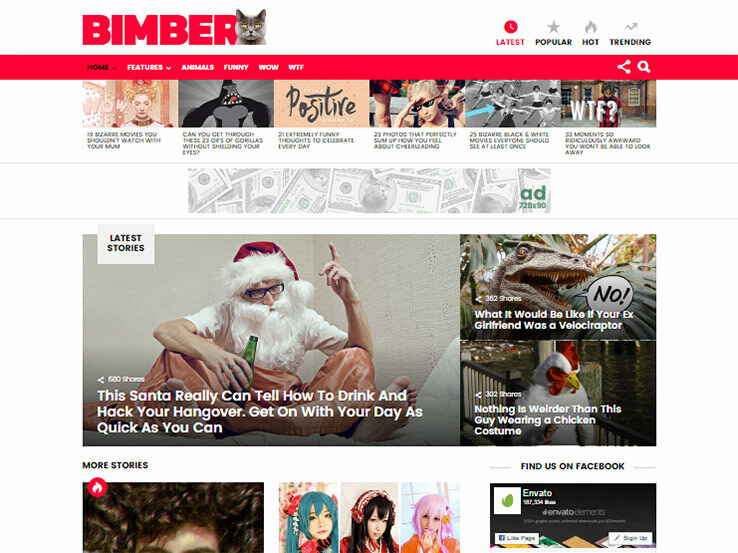 The Bimber theme is a high-selling item for building buzz and sharing viral posts. Frontend submissions are possible, but you must install a separate plugin. The responsive design has support for various ads, and you can create content with modules for popular, hot, and trending topics. Listicles support GIFs, videos and embeds; while share, comment, and view counts are displayed on your site. 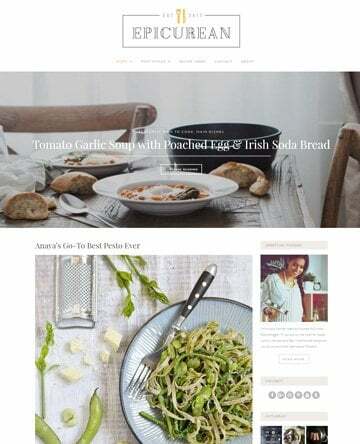 The theme integrates just fine with the MailChimp plugin, making it easier to get people back to your site with an email newsletter. Along with that, you gain access to features like big buttons, calls to action, sticky sidebars, image sharing and a share count visibility threshold. Translation tools are provided, and you can take advantage of the custom Facebook widget, multi-page articles, rich snippets and the full PageSpeed optimization. 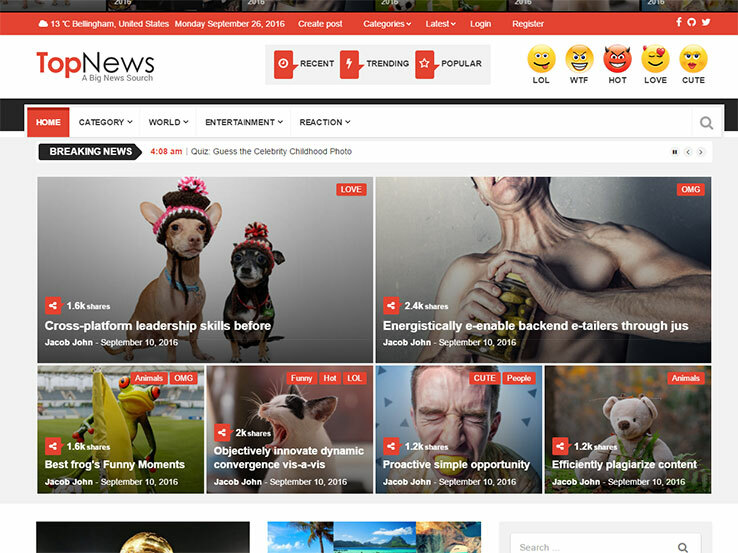 The Top News WordPress theme delivers a viral setup for magazines and newspapers. 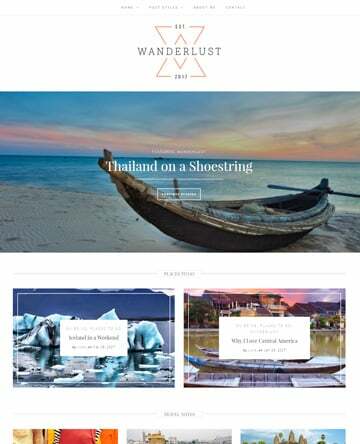 The responsive theme has multiple homepage demos, including options for fashion, sports, health, travel, blogging, and video. The six different menu styles are essential for keeping readers on the right track, while the easy to use mega menu gets more content in that menu. Use the custom YouTube and Vimeo video links for all of your posts, and consider trying out the three types of sliders. 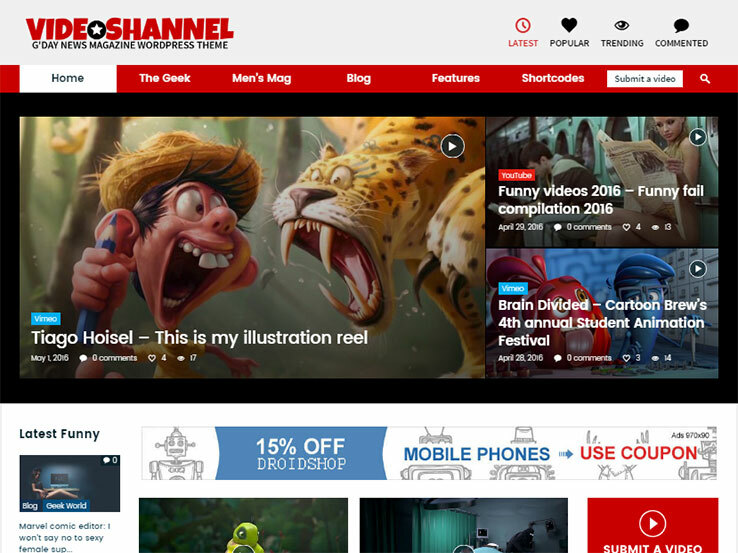 When purchasing the Top News theme you gain access to six different types of blog layouts. The boxed and fullwidth layouts are nice, while the Google Fonts come in handy for typography. Feel free to pick your favorite color to make your site look right, and utilize the drag and drop builder to stay away from coding. The five different sidebar layouts work well, while the multiple category and tag options ensure that everything is labeled properly. 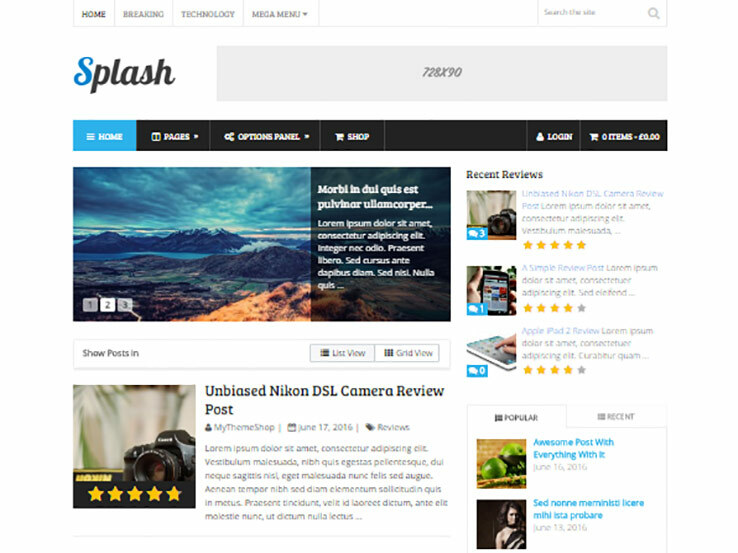 The Splash WordPress theme is 100% responsive, and it provides a rather useful ratings and reviews system. This way, you can let people rate your content to get more shares and see what content is actually going viral. The theme has translation files for reaching out to the rest of the world, and it includes unlimited colors. Over 600 Google Fonts make it easier for branding your typography, while the WooCommerce integration can bring in money for your efforts. 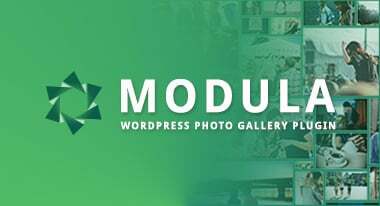 Some of the primary features include one-click demo importing, lazy loading, and a related posts module for keeping people around for longer. 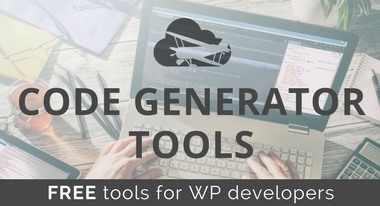 The over 20 useful shortcodes are nice for staying away from the code, while the 13 custom widgets help with lists like popular posts and recent reviews. The theme provides integrated social media buttons, and the unlimited backgrounds and colors are bound to improve how your branding looks. G’Day News (or GDN) has 10 unique skins and demos for getting a head start with your design. For example, some of the demos are for men’s magazines, newspapers, fashion, tech, movie reviews and food blogs. It works as a buzz-building theme for various reasons. 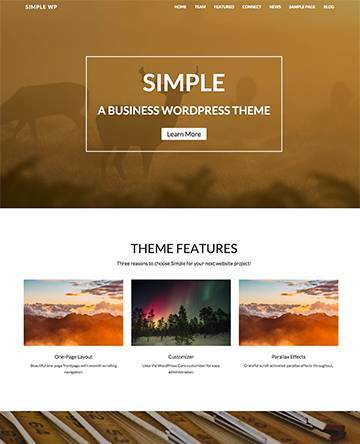 To start, the GDN theme has a responsive layout, along with a frontend content submission module. Feel free to change around the width of your site, and use the powerful ads manager to make money. A drag and drop page builder comes with your theme, and the rich font manager sets font styles for your site. What’s more is that the theme is easy to translate, and you receive an exclusive JaW gallery, immediately beautifying the way you present images. Some other reasons we like the theme include the powerful social sharing buttons, incredible plugin compatibility, extreme customization, and the one click demo installation.